James and Heather Hudson, along with Beast and Professor Xavier, examine Wolverine and Sabretooth. 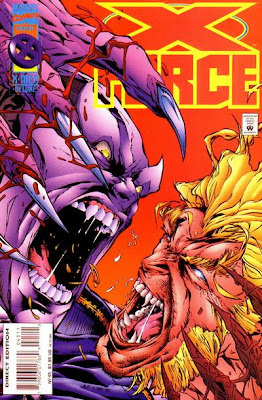 They scan Sabretooth’s brain to study the damage Wolverine’s claw did to it, learning that he’s been effectively lobotomized, even though they don’t know how long his new state will last. Boomer escorts Sabretooth back to his room, sparking jealousy in Wolverine. Wolverine’s taken to the Danger Room and hooked up to a sensor array, which reminds him of the wires and plugs inserted into his body by the Weapon X project. A holographic arctic environment causes him to flash back to his first meeting with the Hudsons. Suddenly, Wolverine runs out of the Danger Room into the night, without taking off his sensor array. Xavier, Beast, and the Hudsons observe his biological and psychological reactions to what’s going on outside. Wolverine runs towards a nearby highway, where the X-Men’s abusive neighbor is driving drunk and rapidly approaching a blind curve. Trying to prevent an accident, Wolverine jumps in his way and yells for him to stop. The man responds by running over Wolverine, which severely injures him. To everyone’s surprise, his healing factor begins to repair his wounds at an accelerated rate. Wolverine resists his animal urges and saves the man from the wreckage of his car, and then picks up one of his beer cans and drinks it. Pleased that Wolverine didn’t give in to his darker urges, Heather shuts off the sensors to give him his privacy. Zoe Culloden and another Landau, Luckman, and Lake agent watch the entire episode and determine that Wolverine is “ready”. The Danger Room simulation causes Wolverine to remember that he was shot by poachers shortly before he came across the Hudsons for the first time. He thought they were members of the poachers’ hunting party and attacked. Heather Hudson is relieved to know that he actually had a reason to strike and was never just a berserk animal. This does add a twist to his established origin story, since Wolverine always claimed that he was just a wild animal before the Hudsons discovered him and offered help. According to Xavier, the rapid rate Wolverine recovers from being run over is the “true rate of the healing factor when it isn’t compensating for the adamantium”. This means that Wolverine should have an accelerated healing factor in all of the flashback stories that take place before he received the adamantium, but I doubt that’s been kept consistent. This is very similar to the previous issue, which also dealt with the X-Men’s responses to the resurgence of Wolverine’s animal nature. 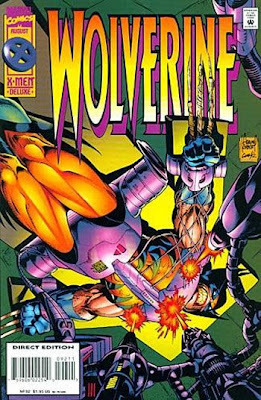 It doesn’t feel too repetitive, though, mainly because Hama uses Wolverine’s first person narrative captions to humanize the character and bring some weight to the storyline. The other X-books just have an omniscient narrator claim that Sabretooth has changed, but Wolverine has the title character express the same doubts the readers have about his conversion (as Wolverine puts it, “that wounded kitten look is about as convincin’ as Sylvester with a mouthful o’ Tweety”). Wolverine’s narration also raises the idea that Sabretooth can’t effectively fake feelings like compassion because he’s never actually felt them. 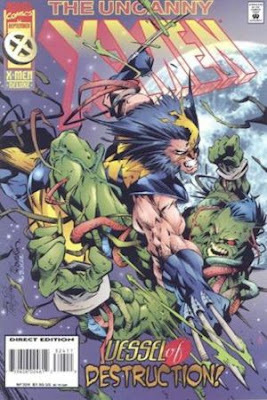 Hama actually gets some mileage out of the storyline, since the reader can’t be sure if Wolverine can see through Sabretooth because of their past together, or if Wolverine’s just giving in to the same dark impulses that ruled Sabretooth and judging him unfairly. I didn’t realize this until now, but these two separate storylines might’ve been created to compliment one another. Sabretooth is now a tame animal who can’t threaten the X-Men while Wolverine is withdrawing from the team and getting nastier and more animalistic. If that’s the case, this issue seems to be the only story that actually makes the idea work. Adam Kubert returns as artist, thankfully. He produces another nice-looking issue that blends heavily detailed drawings with exaggerated cartooning. Quite a few pages of this issue consist of characters standing around monitors talking, but it never looks boring. During the flashback scene he seems to be following his father’s sketchier style and does a fine job with it. He also does a nine-panel grid layout leading up to Wolverine getting run over that I like a lot. This turns out to be a pretty strong issue, making it one of the highlights of an era that’s not very fondly remembered by a lot of fans. Mimic attacks X-Force, blaming them for killing the scientists at the research station. Warpath tries to explain that they're innocent, but Mimic behaves even more irrationally when he begins mimicking Warpath’s physical strength. 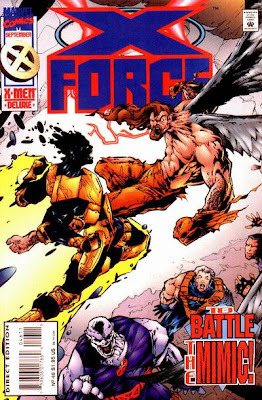 Believing that he has to kill X-Force before they kill him, he punches Warpath through their Pacrat aircraft. Sunspot disobeys Cable’s orders and goes after Mimic. Mimic can’t take being exposed to so much power, and when the solar energy he copies collides with Sunspot’s, it triggers a giant explosion. After Sunspot recovers, he joins Cable and Caliban in their search for Mimic, but he’s disappeared. Meanwhile, Boomer continues to bring Sabretooth milk, which leads Wolverine to warn her to stay away from him. In Vermont, Siryn is going through the patients’ files at the Weisman Institute for the Criminally Insane. When she’s discovered inside Dr. Weisman’s office, Siryn claims that she was sent by Professor Xavier to find out what happened to the doctor after she stopped communicating with him. Siryn’s restrained and drugged by the doctor and her security guards. Later, she tries contacting Cable for help, but he doesn’t respond. Feeling like she doesn’t have any other options, she calls Deadpool. Two files are shown on Dr. Weisman’s computer. One belongs to 10 year-old Jeremy Stevens, who has been “institutionalized indefinitely”, and the second belongs to Benjamin Russell. Russell looks exactly like Shatterstar, and his file claims that he was born in Boston, Massachusetts and his current whereabouts are unknown. This all ties into Shatterstar’s upcoming, incompressible, origin story. Benjamin Russell’s file comes onscreen while Siryn is ducking down to avoid Dr. Weisman, so she presumably didn’t see it. Siryn claims that Dr. Weisman is a colleague of Xavier’s, and that she was sent by him to find out why she’s been out of touch. Later, she thinks to herself that Cable sent her on the mission and didn’t want Xavier directly involved. I can’t tell if she was supposed to be lying in the earlier scene, or if Loeb got the plot mixed up. The Mimic is an obscure character from the Silver Age who briefly joined the X-Men. He’s a human who gained the ability to mimic mutant powers after his father experimented on him. He’s somehow been able to retain all of the original X-Men’s powers. He claims that he’s living in Siberia to get away from mutants and be left alone. I believe Onslaught is behind his disappearance at the end, but I don’t know if there was ever an explanation for who killed the scientists at the research station. Since this issue is setting up two notorious storylines (Onslaught and Shatterstar’s origin), it would be easy to dismiss it as crap also, but that’s not entirely fair. Pollina does a decent job on the fight scene with Mimic, and the hints for the upcoming storylines are so vague they don’t really impact this specific issue. Pollina’s art carries a lot of this issue, and while he’s still inconsistent, he delivers a sound mix of cartooning and realistic art for most of the issue. His redesign of Sunspot is also impressive, even if the cover is a weak example of what he’s doing with the character. Loeb’s story is typical of the passable work he’s doing at this point, and he actually does an admirable job of trying to sell Boomer’s sudden interest in Sabretooth with this issue. Part of it is motivated by rebellion, but she’s also looking for someone who needs to be around her. This might not be entirely consistent with her character, but it’s better than the previous stories that portrayed her as abruptly drawn to him with no explanation. She also questions if she should be doing this at all, which at least makes the storyline a little more plausible. It's not a bad issue, even if some of the threads are heading in a shaky direction. Psylocke enters Gambit’s mind to find the source of the darkness she sensed earlier. She believes that Gambit is still asleep after passing out earlier, but he senses her presence and confronts her. She claims that she was only checking on him and leaves. Meanwhile, Wolverine, Cannonball, Storm, and Charlotte Jones face Gene Nation’s Vessel and Sack. When Sack grabs Jones, Cannonball blasts off with him. Sack then tries to possess Cannonball’s body, which forces him to crash into the pavement to stop him. Beast arrives and protects Graydon Creed, whose rally has been interrupted by Vessel. Wolverine senses the energy Vessel stole from his victims is inside of him, which leads Storm to attack him with lightning. Beams of light shoot out of Vessel’s body and return to the corpses in the morgue. Cannonball watches as a stray spark illuminates a part of Sack’s remains, enabling it to escape. He wants to follow it, but the team exits as the police arrive. Meanwhile, Rogue and Iceman arrive at a diner in a small Arizona town. Iceman sees another vision of Emma Frost, which upsets him. Rogue tells the waitress to give her regards to Grey Crow, but she then realizes that she doesn’t know who that is. Iceman tries to call Emma Frost, but she refuses to answer the phone. Sack is shot two times, but the wounds quickly heal. He claims that his “primary mutation” is the ability to apply his body over a human host. Vessel has the ability to “siphon psionic and even physical residue from the recently departed”. The story goes out of its way to say that the lights inside of him aren’t souls, but it’s a big deal to Storm that the energy return to the corpses it came from (okay, then). According to the narration, thirty-three people were killed in Gene Nation’s nightclub attack. Rogue remembers the name “Grey Crow” because she absorbed it from Gambit. The waitress, Claire DeLuc, has a photograph of herself with Gambit and Grey Crow. Years later, Grey Crow is revealed to be the Marauder Scalphunter in Gambit’s solo series (although the man in the photograph here looks a lot older). Storm’s clothes alternate between a skirt and pants throughout the issue. None of the X-Men are wearing the same clothes they wore in the last issue, except for Cannonball, so Cruz must've been provided some reference. It’s a mediocre fight issue, which is still trying to build up Gene Nation as credible opponents. I remember feeling let down the first time I read this issue, and time hasn’t been very kind to it. Sack and Vessel are just generically evil and aren’t exhibiting any type of a plan here; they’re just fighting the X-Men. I guess the scenes involving the light inside Vessel are supposed to add some relevance to the story, but all that happens in the end is some beams of light return to a few corpses. The story’s not even bold enough to call the light “souls”, so you don’t get the feeling that the X-Men truly accomplished anything. It might’ve been a copout, but I actually think that allowing the light to revive the corpses in the morgue would’ve been a more exciting ending than this. It would’ve undermined Gene Nation’s previous actions, sure, but at least something would’ve happened at the end. All that happens now is that Vessel disappears in-between panels (what exactly happens to him after he unleashes the light isn’t explained), and some glowing chunks of Sack scurry away (I guess that’s what Cruz was trying to convey, at least). The main story alternates with the Rogue/Iceman subplot, but the events are virtually identical to what happened in the previous issue. I guess Grey Crow was supposed to be the introduction of another mystery, but it’s forgotten for years until another writer decides to do something with it. The opening scene with Psylocke and Gambit could’ve created an interesting dynamic between the characters (and it fits in with Psylocke’s earlier appearances, which established that some of the X-Men felt uncomfortable around her), but it’s another idea that gets dropped along the way. Havok falls unconscious after being stabbed by Fatale’s poisoned spike. 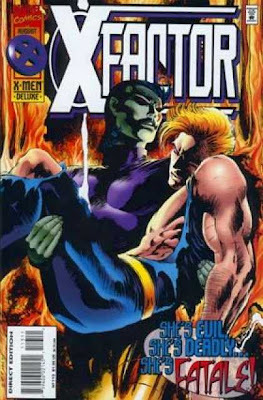 X-Factor tries to rescue him, but Fatale sets the nightclub on fire and escapes. Havok later awakens inside a ship at the harbor. Fatale explains to him that his increased powers have raised the interest of her employer. Yukio secretly tracks Fatale to the docks and sneaks into Havok’s chambers after she leaves. She tries to break him free, but his restraining coils are electrified. Fatale discovers Yukio and attacks, while Havok’s powers begin to go out of control again. After learning Havok’s location from the crimelord Tatsu’o, X-Factor arrives to see the ship explode. Havok is convinced that the explosion of his powers killed Fatale and Yukio, but Yukio emerges from the water alive. Havok puts on the containment suit Polaris gives him, but he’s convinced that things are only going to get worse. Later, Scarlett McKenzie meets a mysterious figure in a limo. He’s still determined to get Havok. The mystery man in the limo has the Sugar Man’s unique word balloons and lettering font. It’s clearly supposed to be him, even though Moore doesn’t give him that strange speech pattern where he runs words together. Apparently, there was a Mighty Morphin Power Rangers movie, because there’s an ad for it on the inside front cover. Actually, seeing this reminds me of a Wizard article that claimed that the success of the Power Rangers movie fast-tracked development of the X-Men movie. Well, this isn’t as confused and chaotic as the previous issue, thankfully. At the very least, Jerry Bingham does capable fill-in art that blends in with the Steve Epting issues. The story is very straightforward this time, since it only involves X-Factor chasing Fatale and rescuing Havok. Even though it hasn’t been handled very well so far, I don’t mind reviving the idea that Havok’s powers are uncontrollable. Havok’s anxiety over his powers was a large part of his character until he was brought into this title, so I think it’s a legitimate avenue to explore. Moore tries to smooth the transition between teams a little bit here, with a one-sentence explanation of what happened to Guido and Wolfsbane since we last saw them. It’s still a lackluster resolution to the previous storyline, though, and it comes one issue too late. There’s also a half-hearted explanation for why exactly Mystique is on the team, which is another idea that has potential but has suffered from a botched delivery. You can’t help but to think that Marvel had no idea what to do with this character, as she shifted from being a reformed government agent, to a woman driven insane by grief and the nature of her powers, to a manipulative murderer, to a reluctant member of X-Factor, in less than five years. All of these shifts felt forced at the time, but looking back to see how quickly they came about makes you realize just how poorly she was handled. Theoretically, putting Mystique in X-Factor is a nice way to acknowledge her past with Forge and as a government agent, but the creators also have to deal with nonsense like X-Men Unlimited #4, which portrayed her as a heartless killer. And is she supposed to be insane or not? After years of so many inconsistent interpretations, it’s hard to really care about anything that’s done to her. Adding Mystique did make me cautiously optimistic about the future of this title, and I was relieved that this issue wasn’t a total mess. I don’t think I realized that this series was a lost cause until the Adversary storyline, unfortunately. Peter Wisdom receives a request for help from his friend, a fellow Black Air operative named Cully. Shadowcat volunteers to take Wisdom to London in the team’s Midnight Runner plane, mainly to keep an eye on him. They arrive in London and investigate one of Cully’s hideouts. He’s missing, but the words “I’m losing my body” are written on the wall. His apartment is littered with papers with odd designs drawn all over them. On Muir Island, Moira discusses with Professor Xavier how a hacker could’ve broken into Muir Island’s database and leaked information about her Legacy Virus infection. She then explains to the rest of Excalibur how the Legacy Virus mutated and infected her. Meanwhile, Britanic devises a laser pen that will be used to house the mutant killer Spoor during his sessions with Rory Campbell. At a spy hangout, Wisdom learns that Cully has died. They soon view his body at the morgue, where the coroner reveals that he died of a mysterious disease. The coroner tells Wisdom that Scicluna, his boss at Black Air, is trying to cover up the death. 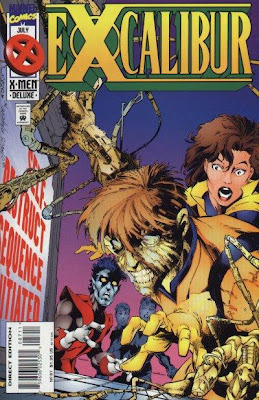 As Wisdom and Shadowcat leave the morgue, they’re attacked by two armed men. After they’re subdued, Wisdom pulls Black Air IDs out of their wallets. This is the start of a three-part storyline, which serves to flesh out Peter Wisdom as a character and introduce his romance with Kitty Pryde. This issue is mainly setting up the mystery of what happened to Cully while giving Wisdom and Shadowcat some room to play off of each other. Ellis is good at giving the characters personality, so even if the plot moves pretty leisurely, the story isn’t dull. The rest of the issue is dedicated to acknowledging some of the ongoing storylines that involve Muir Island. Ellis spends quite a bit of time justifying how Muir Island was hacked and how Moira was infected, leading me to believe that someone somewhere thought that these storylines were actually going somewhere. Some obscure continuity is dredged up, as Ellis revives the idea that Muir Island was created as a rehabilitation center for rogue mutants, an idea that I think had been ignored after its first appearance. This leads into a storyline involving Spoor, one of the multitude of Acolytes who hadn’t been developed yet. I like the way Ellis is using what already exists in the X-universe while adding some new elements, so it doesn’t feel as if the book is totally divorced from its roots. Larry Stroman draws the majority of the issue, although the pages are randomly divided amongst three other artists, so you end up with a three-page fight scene with two pencilers. None of the styles blend at all, which is distracting (although it’s hard to think of any artist that can fit in easily with Stroman’s unique look). I think this was Stroman’s return to Marvel after his attempts at a creator-owned series didn’t go very far. His art is even more exaggerated than his X-Factor run, which leaves many of the characters virtually unrecognizable. It’s still an interesting style, but he’s starting to border on self-parody on a few pages. Banshee dreams about a past encounter with a mutant serial killer. Emma Frost enters his dream, forcing him to wake up. He confronts her about invading his privacy, but she explains that being forced to sleep in cramped quarters (while the girls’ dorm is being repaired) is dragging her into his dreams. He apologizes, as Emma intentionally drops her sheet and exposes herself before shutting her door. Outside, Husk thanks Chamber for not telling anyone about their kiss, which destroyed the girls’ dorm. Jubilee spies on them from her room, and is chastised by M. Jubilee responds by snatching the papers she’s reading, which turn out to be pages from a coloring book. Meanwhile, Skin and Synch build a tree house for Artie and Leech in the Bio-Sphere. Later, M asks Gateway how much longer does she have to stay at the school. Banshee watches as the two meditate over the lake. Emma approaches Banshee and confesses to kicking Leech while she was being held by Gene Nation. Banshee’s pleased that she’s showing signs of a conscious. Jubilee tells Banshee that he has a phone call. The caller is a Missus O’Brien from Ireland, who tells him that his family castle has disappeared. M refers to Gateway as her “mentor”, and asks him why he can’t train her. He’s able to levitate in this issue, which I don’t remember him doing before this. 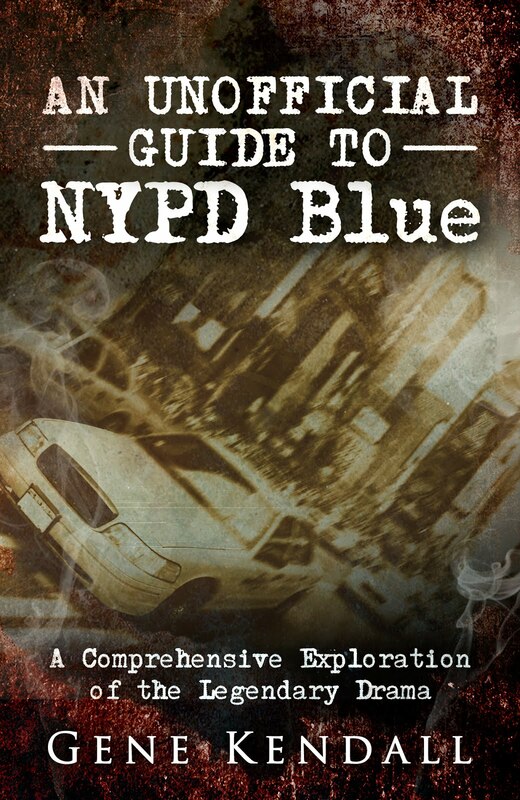 The mysterious serial killer Banshee dreams about asks him, “What are you going to do, Irishman? Kill me? Again?” Banshee claims that he resigned from Interpol in order to pursue the serial killer because no one believed him. Banshee also had a hideous ponytail in his past, apparently. This is the first post-Bachalo issue of the series, which automatically removes a lot of the charm. The story’s similar to the previous issues of the series, as it mainly focuses on character scenes and doesn’t really have a central plot, but Cruz’s artwork doesn’t live up to the standards that have already been set for the title. I can’t say that he totally botches the conversation scenes, since he is able to do basic acting for the characters (so a sad person looks sad, an angry person looks angry, etc. ), but he often reverts to just generic faces for many of the characters. After so many issues of creative page designs, his straightforward panel layouts can’t help but to look boring, also. Plus, there’s the fact that he’s doing a brazen imitation of Joe Madureria’s style, which raises some ethical questions about using him in the first place. Even though you can see potential in a few panels, it’s strange that the X-office was so eager to give him jobs he wasn’t ready for. Without the impressive artwork, you’re left with a comic that mainly consists of a couple of people talking to each other. Some of the interactions work, like the pairing of Banshee and Emma Frost, and the unusual dynamic between Husk and Chamber. Other scenes feel like they drag on for too long, like the four pages spent on Skin and Synch building a tree house, which even average out to less than four panels per page. The same material could’ve easily been covered in half the space. It makes the book feel padded, leaving me to wonder why Lobdell didn’t just get on with the Banshee storyline he’s setting up. #6 (Loeb/Skroce/LaRosa/Thomas/Digitial Chamelon/Starkings/Comicraft) – Once again, we’re given a story about a powerful villain sending a flunky to find X-Man. This time, it’s Sugar Man sending Rex, instead of Apocalypse sending Domino. It ends predictably with more giant panels of X-Man’s powers erupting, while the villain survives to continue the hunt. The rest of the issue is spent on X-Man’s conversation with Madelyne Pryor, which mainly consists of the two of them acting confused and clueless, since Nate still thinks he’s in the AoA and Madelyne doesn’t know where she came from. Loeb does drop a few hints about Madelyne that have potential (she’s terrified of Sinister’s name, and X-Man accidentally creates a monster that looks like Havok when he enters her mind), but I don’t have a lot of faith in a satisfactory conclusion. Skroce’s art brings a lot of energy to the thin story, and he’s one of the few artists that can capture the freakiness of Sugar Man. 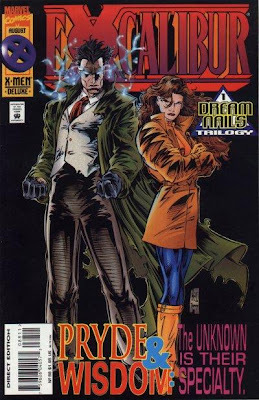 #7 (Loeb/Skroce/Hester/LaRosa/Ryan/Williams/Thomas/Digitial Chamelon/Starkings/Comicraft) – On the run from Rex, X-Man and Madelyne end up in Paris…as the story begins to disturbingly hint at a romance between the two. If you’re a new reader and know nothing about these characters, I guess this doesn’t stand out, since the story presents it as two desperate people drawing comfort from one another. But any long-time fan (and who else would care about the return of Madelyne Pryor?) knows that Madelyne’s a clone of Nate’s mother. So not only is Nate a teenage clone of an existing character, but he’s also got the hots for his mom? And the story doesn’t even hint at how freaky this is? What a way to launch a new character! Was Loeb actually going somewhere with this? The story’s main plot involves Selene discovering Madelyne in Paris and tempting her over to her side. It’s not much different from the plots of the previous issues, only now it’s Madelyne who’s the villain’s target. Selene is actually successful in this story and it’s not dragged out over several issues, so at least there’s some variation, I guess. Selene says that she knows Madelyne’s identity and the power she possesses, but I can’t think of any previous comics where the two met. Selene is a sorceress, so I guess it’s possible she learned through supernatural means, though. #8 (Loeb/Rozum/Skroce/McDaniel/LaRosa/Miller/Russell/Pennington/Ryan/Thomas/Malibu’s Hues/Starkings/Comicraft) – And now we have an issue with a plotter, a scripter, two pencilers, five inkers, and an extra ghost letterer who’s replacing pages of scripted dialogue (also notice that Malibu’s Hues did color separations, so Marvel must’ve purchased Malibu Comics at this point). This issue’s plot involves X-Man taking a job on a luxury boat, as he tries to deal with Madelyne’s departure in the previous issue. He has wild mood swings and gets drunk for the first time, and then fights Rex for a few pages. The crazy mood swings come out of nowhere, leaving you with the impression that he’s truly mad and not just troubled. So now he’s an insane clone of an existing character who’s got a thing for his mother. Not only is the art rushed and unattractive, but the dialogue annoyingly switches between thought and word balloons, so Nate ends up spontaneously saying things like “I’ve spent too many hours thinking about my past” to a girl who just complimented him on his paint job. Dark Beast saves X-Man from Rex on the final page, which isn’t that bad of a cliffhanger, but it doesn’t compensate for such an aimless issue. #9 (Loeb/Ostrander/Skroce/Haynes/LaRosa/Carani /Lowe/Hanna/Pennington/Thomas/Malibu’s Hues/Starkings/Comicraft) and (Ostrander/Weeks/Sienkiewicz/Becton/Malibu/Comicraft)– “Creative differences” surface as Jeph Loeb receives a “story idea” credit and is replaced by John Ostrander. 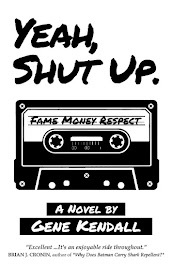 Loeb said in a recent interview that he left the book because he disagreed with Bob Harras over the title’s direction, which shockingly implies that someone at Marvel thought that this title had a direction. Counting the backup story, this issue has a co-plotter, a writer, three pencilers, and six inkers. I’ll give it credit for not looking like a total mess like the previous issue. Rob Haynes draws most of this issue, turning in some nice-looking pages that remind me of Rick Leonardi’s work. The story consists of Dark Beast trying to draw X-Man over to his side (gasp! ), X-Man getting angry at him and unleashing his powers in a two-page spread (shock! ), and a few pages of Blaquesmith tailing X-Man. At the end of the story, Nate decides that he should go find the X-Men, which leads into this issue’s back-up story. The backup, featuring Blaquesmith “in his first solo adventure” has decent artwork by Lee Weeks and Bill Sienkiewicz, but a nonexistent plot. While on his way to warn Professor Xavier about X-Man’s arrival, Blaquesmith is attacked by a strange aircraft. Blaquesmith plays possum, gets one good shot in, and leaves. End of story. This title’s only nine issues old and it’s already forced to run pointless filler. Not exactly a positive sign of what’s to come. When Boomer tries to give Sabretooth a bowl of milk, she discovers the Danger Room has been trashed. Caliban is attacking Sabretooth as retribution for his earlier role in the Morlock Massacre. Cable appears and repairs the controls enough to create an illusion of the Morlock Tunnels. Cable mentally speaks to Caliban and tries to explain that Sabretooth is as defenseless now as the Morlocks were years ago. Caliban decides not to kill Sabretooth until he’s recovered. Cable firmly orders Boomer to stop bringing Sabretooth milk. Later, Beast examines Shatterstar while he’s recovering from his injuries. He tells Cable that he’d like a few days to run tests on him. Boomer plays sick to avoid a new mission in order to spend time with Cannonball, but he has to quickly leave on X-Men business. The rest of X-Force travel to a Siberian tracking station as a favor to Professor Xavier. They discover a giant crater in the snow, surrounded by bodies. One of the injured men tells Cable that they trusted Xavier, and now this happened. Cable looks up to discover the Mimic standing over him. Cable tells Boomer that he knows about the “original designs” of the Danger Room. I think it’s later revealed (or at least, Loeb wanted to reveal) that Cable gave this technology to Xavier years in the past, or some similar terrible idea (hey, I wonder if Cable knew that the Danger Room was an enslaved sentient being?). Beast comments that no one’s ever actually examined Shatterstar’s body before, which is a hint towards his upcoming origin story, another plotline that’s not exactly remembered well. The continuity between the titles continues to be extremely tight. Shatterstar was injured in this month’s Cable. Cannonball’s appearance is supposed to take place in-between the pages of Uncanny X-Men #323, a stunt that drove me nuts as a kid because I had no idea whether or not to file that issue before or after this one. This is a very traditional X-comic, with an opening fight in the Danger Room, some conversation scenes, some training scenes, the introduction of a new mystery, and the setup for next issue’s story. None of it’s poorly done, but this is definitely material we’ve seen a thousand times before (which I suspect was intentional on Loeb’s part). He does at least get some use out of Caliban in this issue, with an opening fight scene that’s handled effectively by Pollina. Remembering that Caliban hates Sabretooth is a nice use of continuity and a sign that Caliban isn’t being totally rewritten. Marvel was still trying to sell the idea that all of their titles were telling the continuing stories of the characters, so seeing a reference to a 1987 crossover wasn’t that unusual (Bob Harras even helpfully points out which individual issues of each series the Morlock Massacre took place in, even though those comics had been out of print for eight years at this point). Having cynical, bratty Boomer turn into a little girl around Sabretooth never worked for me, but at least Loeb is trying to take advantage of the new surroundings. Pollina’s art does bring some excitement to a pedestrian story, even if some of his faces are wonky (Xavier practically looks like a corpse during his scenes). Out of all of the characters in the book, Pollina’s strongest work appears on his rendition of Boomer, which is a little odd. His unique art at least keeps this from being totally bland. Geneticist Renee Majcomb attempts to escape Genosha’s civil war by sneaking into America. At Kennedy Airport, Domino and Cable arrive to say goodbye to Rictor. Renee soon arrives at the same airport, with Genoshan agents Hawkshaw and Pipeline following her. Rictor and Shatterstar enter the airport and witness a demonstration against the mutants arriving from Genosha. Rictor is surprised to see Cable is at the airport and willing to say goodbye to him. They shake hands and make peace with each other. As Shatterstar leaves with Cable and Domino, they run into a mob scene. Cable uses his telepathy to discover that Hawkshaw and Pipeline are agitating the crowd to cover up their abduction of Renee Majcomb. 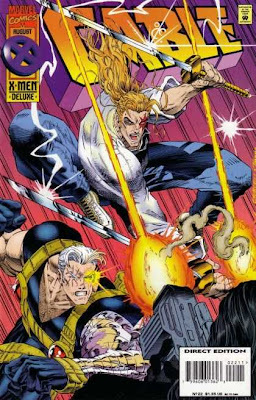 Cable prevents Pipeline from teleporting Renee away, but Shatterstar is shot in the stomach by Hawkshaw. Cable quickly uses his telekinetic powers to knock him unconscious. As Domino and Cable leave to get Shatterstar medical treatment, Renee tells Cable to let Xavier know she’ll be contacting him soon. That night, Cable’s angered to learn Hawkshaw and Pipeline have claimed diplomatic immunity. After he goes to bed, Domino is distressed to see news footage of a paw print made by a killer “Bigfoot”. Renee Majcomb is a human scientist who first appeared in X-Men #26 as part of the “Bipartisan Rebel Batallion”, a group of humans and Mutates who tried to stop the violence in Genosha. It’s another issue of Cable that falls under the category of “readable, but not particularly good”. I still remember almost nothing about this run, so I can’t say if the Genosha storyline that begins here has any payoff (I vaguely recall that it ties into Cable returning to his future in issue #25, but I could be wrong). Loeb does do a decent job of continuing Nicieza’s portrayal of a repentant Cable trying to make amends with his students, and his handle on the Cable/Domino relationship isn’t bad. Portraying Shatterstar as a devastated puppy dog after losing Rictor is way over the top though, especially when you consider that in Nicieza’s issues they were really just “buds”. (Whether or not they’re supposed to be gay is still debatable, since the narration compares Shatterstar’s feelings to the ones Cable felt on the battlefield after losing his friends). In one scene Cable saves an anti-mutant human from the Genoshan agents, which you would think would be a tired cliché at this point, but it’s something that rarely happens during this era. It’s an extremely obvious thing to do, but since no one else was doing it at the time, I can’t fault Loeb for going there. Unfortunately, like a lot of Loeb’s work here, the scene’s scripted in such a bland, predictable way it doesn’t have much of an impact. Ian Churchill debuts as the regular artist in this issue, turning in more subdued work than his previous issues. A lot of the scratchy, pointless lines have disappeared, so it’s aged better than his earlier work. Like the writing, the art doesn’t thrill me, but it is at least an improvement over his previous issues. Iceman and Rogue are stranded after getting a flat tire. Rogue enforces the “no powers” rule of their road trip and refuses to let Iceman use his powers to help, so they’re forced to walk to the nearest gas station. Later, a mental image of Emma Frost appears and taunts Iceman. Inside the Danger Room, a recuperating Gambit interrupts Psylocke and Archangel’s training session looking for Rogue. Cannonball takes Sabretooth for a walk and is confronted by Wolverine, who refuses to believe Sabretooth has changed. Storm interrupts and invites Wolverine to come along on a mission. Elsewhere, the Beast challenges Trish Tilby over exposing the Legacy Virus without consulting him first. They argue and end up blaming each other for the beating death of Dennis Hogan. Trish apologizes and Beast leaves. In front of City Hall, Graydon Creed is holding a rally to protest the recent massacre of humans at a nightclub. Nearby, Storm, Cannonball, and Wolverine are joined by Charlotte Jones at the morgue. The medical examiner investigating the nightclub murders claims that he doesn’t understand how many of the patrons suddenly died. Wolverine detects a foreign scent inside the doctor and begins cutting him up. The Gene Nation member Slack emerges from the doctor’s body, as his teammate Vessel enters the room. I still remember the original solicitation for this issue claimed that Rogue and Iceman had actually eloped since we last saw them pre-AoA. My friend and I refused to believe this, and I think we actually went to the dictionary to see if there was another definition for “elope” (and, apparently, it can just mean “escape” and not necessarily “marry”). Gambit suddenly recovers from his coma in this issue. Psylocke senses “danger” around him, although I don’t know what this is supposed to mean. If it was supposed to be a hint about his past with Mr. Sinister, wouldn’t she have sensed that by now? There’s a black man at Creed’s rally who’s given a long monologue about how dangerous Creed might be. I can’t tell if he’s supposed to be the Landau, Luckman, and Lake agent from the previous issue or not, since Hitch draws him about twenty years older than the other artists. According to the man, Creed had been written off as a fanatic, but after Gene Nation’s massacre at the nightclub, he’s gaining more support. This is presumably foreshadowing for his presidential run. I’m starting to understand why I filed the books during this period in an unusual way. Now that Cable and X-Force are taking place at the mansion and featuring cameos from the X-Men, it’s a lot more difficult to fit these stories into a proper order without having certain details trip over each other. In the previous Uncanny, Siryn informs Storm of the nightclub massacre. Meanwhile, Cyclops and Phoenix are visiting the Greys. In X-Men #42 Storm tells Xavier about the massacre, and Cyclops and Phoenix are kidnapped by the Acolytes on their way back from her parents’ home. In the next two issues of that series, Cyclops and Phoenix are in outer space and then scattered across the globe. However, Phoenix is in Cable #21, which takes place after Siryn disappears. Cyclops is in X-Force #44 which also takes place after her disappearance. Cannonball also joins the X-Men in that issue. That means that the July, August, and September issues of X-Men all have to take place before the July issues of Cable and X-Force. Most of this shuffling is due to Siryn’s two-page cameo in the previous Uncanny. If she wasn’t in that issue, then Cable and X-Force could’ve taken place before Cyclops and Phoenix were abducted. 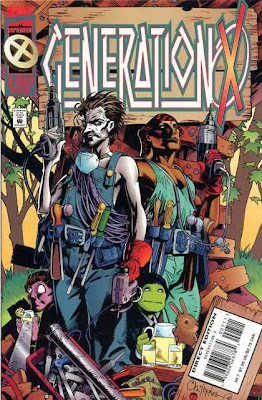 On top of all of this, Gene Nation are making their first real appearances in Generation X at this time, in a storyline that ends with the characters hanging around the mansion, too. Plus, Wolverine #91 also features cameos by all of the X-Men, including Cyclops and Phoenix. Depending on your personality, this is either maddening, boring, or fun to work out. One fan writes in to complain about “trash” characters like Gambit, Rogue, Nimrod, Forge, and Sabretooth. He then tells the editors that they should rehire Chris Claremont (the creator of Gambit, Rogue, Nimrod, Forge, and Sabretooth). He’s also upset that Thunderbird was killed in 1975. Marvel’s 1995 Reader Survey shows up in this issue. One question asks how many X-Titles do you buy each month, with “10 or more” as the highest number (the same question is asked about the Spider-Man books, with “6 or more” as the upper limit). Other questions include, “Do you like the current Spider-Man ‘clone’ storyline?”, “Yes or no, would you buy an all new Gambit monthly series?”, “Have you ever played Magic: The Gathering or any other card game?”, “Do you own a home computer?” and “Do you own a CD Rom drive?”. There’s also a question about which online service do you use, which includes Delphi, World Wide Web, Compuserve, and Prodigy as options. Like last year’s survey, you’re expected to include two dollars to cover the shipping of your fee “load of great goodies”, which are better than the previous year’s options (now it’s a free comic, poster, trading card sheet, and a Marvel catalogue with a $2 gift certificate). This is another issue that’s supposed to build up Gene Nation, although the majority of the story is spent on alternating subplot pages. I’ve always liked this type of issue since it feels like there’s a lot going on, even though most of the threads here aren’t particularly great. The Rogue/Iceman subplot isn’t resolved in this title, but in X-Men instead (which so far has shown a contradictory story about Rogue behaving like Gambit and Iceman tracking her down). Gene Nation turn out to be rather lame villains, although I give the artists credit for giving them genuinely freaky designs that don’t look anything like the claws/chains/spikes/trenchcoat style of the preceding ‘90s villains. Beast’s scene with Trish Tilby raises a good point about whether or not it was ethical to cover up the Legacy Virus, but it’s only two pages long and doesn’t really get into the issue. 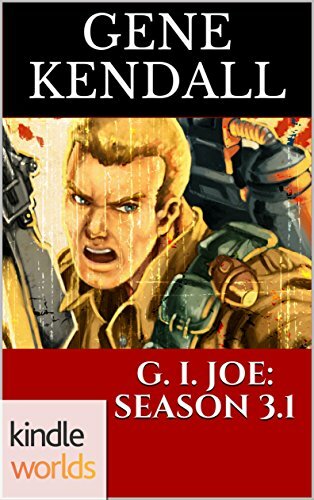 Showing that Graydon Creed is receiving more credibility due to Gene Nation’s attack is a smart way to tie together two separate plot threads, but it’s unfortunately leading to the infamous “Who shot Graydon Creed?” debacle. Bryan Hitch fills in for Joe Madureria (who won’t return until UXM #325), with an inconsistent issue. The opening pages are fine, but the characters begin to take on a rubbery, soft form as the issue continues. It actually reminds me of Igor Kordey’s rushed fill-in work from a few years ago. At the X-Men’s mansion, X-Force tries to listen in on Cable’s conversation with Professor Xavier, but Domino kicks them outside. Cannonball is afraid that Cable will disband X-Force now that the Generation X students have taken their place as potential X-Men. Sunspot flies in, but his presence makes most of the team feel uncomfortable, leaving him alone with Cannonball. Shatterstar and Boomer prepare to train in the Danger Room, but find Sabretooth is inside. They’re shocked to see that he’s behaving like a peaceful animal, living inside a holographic fantasy forest. Cannonball warns them to stay away from Sabretooth, but Boomer thinks that he’s changed since Wolverine’s attack. Cable telepathically calls the team into Xavier’s office for a meeting. He reveals that X-Force will be working closer with Xavier, now that the Legacy Virus has been exposed and mutants are facing a more dangerous future. The team receives new costumes, except for Cannonball, who has been promoted to the X-Men. Domino enters with the team’s newest member, Caliban. When Rictor learns that Cable will be expanding his powers and communicating telepathically with the team, he decides to leave because he’s uncomfortable giving Cable access to his thoughts. Later, Cyclops calls Cannonball for his first mission as an X-Man. Meanwhile, a restrained and gagged Siryn is brought to the Weisman Institute for the Criminally Insane. The new characterization of Sabretooth debuts here. The original idea was that Wolverine’s attack damaged his brain, turning him into a tame housecat. Like a lot of ideas from this era, this storyline only receives a half-hearted resolution months later. Sunspot is now able to easily fly, claiming that Cable helped him put “that Reignfire stuff” behind him and “feel whole” for the first time. Cable’s powers are also expanded, as he’s able to casually communicate telepathically with the team. Warpath is given a bo staff to train with, which is treated as if it will have some impact on the character, even though it goes nowhere. Caliban joins the team in this issue, and is colored purple for the first time. I can’t tell if the purple is just supposed to be a highlight on his white skin, but Caliban is consistently colored purple as this run continues. He’s also portrayed here like a mentally challenged child, which doesn’t seem consistent with his previous appearances (he always seemed more alien and strange than explicitly childlike to me). Warpath appears to be close to Caliban, which surprises his teammates. Loeb might be implying that Rictor and Shatterstar are gay here, but it’s very ambiguous. Rictor doesn’t want Cable inside his mind, perhaps implying he’s in the closet, and Shatterstar is distraught that his “best, only friend” is leaving. By the way, the idea that communicating telepathically is the same thing as actually reading someone else’s thoughts doesn’t make sense to me. None of the X-Men freak out when Xavier, Psylocke, or Jean Grey talk to them telepathically. According to the Statement of Ownership, average sales for the year were 355,542 with the most recent issue selling 257,700 copies. This fluctuation in sales is equivalent to the total sales of a Top 20 comic today. This entire issue is narrated by a letter Cannonball writes to his mother. Apparently, Cannonball not only speaks in a Southern accent, but physically writes in one as well, so his letter is filled with “Ah”s, “if’n”s and “nevah”s. Loeb also gives him an odd compulsion to underline every other word, and the worst Southern accent I’ve ever read in comics. This issue marks the beginning of the Jeph Loeb/Adam Pollina run. Even though Nicieza moved this title very far away from its original “x-treme” approach, this issue marks the largest change to the book’s status quo so far. Pollina’s art bears no resemblance to Tony Daniel’s Image-friendly look, which automatically gives the book a softer feel. I’m not sure how to describe Pollina’s art, since it’s pretty graphic and design-y, but still has a grounding in reality. I enjoyed it as a teenager, and it still looks nice today. Since Loeb is apparently going for a “New Mutants revisited” feel for this run, his art seems appropriate. More and more, the original Image look is beginning to disappear from the books. Now that Roger Cruz has moved on to a Joe Mad impression, it looks like Ken Lashley is the only artist with a conventional early ‘90s look working regularly on the titles. Jeff Matsuda becomes a regular penciler a year from now, but I think he’s shaken the Liefeld influence at that point and doing full-on manga work. Even though bringing the team back to the mansion might be a nice nod to the long-time readers, it’s an awkward fit with the previous issues of this series. Cable now claims that X-Force existed to train future X-Men, which just isn’t true. That was the original goal of the New Mutants, which was abandoned when the teens met a new mentor who disagreed with Xavier’s methods and molded them into X-Force. This new leader was of course Cable, which makes the inconsistency even more glaring. Bringing the team back to a school setting not only undermines the past several years of continuity, but it’s made instantly redundant by Generation X – Marvel’s new title about teenage mutants living in Xavier’s school. The specific schools might not be the same, but it’s virtually the same premise. Loeb makes this even more obvious by having the characters themselves question if they’re redundant now that Generation X has formed. Loeb introduces the problem, and then bizarrely resolves it by giving this title practically the same setup as Generation X. Aside from the commercial appeal of having X-Force hang out with the X-Men more often, I really have no idea why Marvel went in this direction. I do agree that Generation X puts X-Force in an odd position since both titles are about teenage mutants, but making the books seem even more similar isn’t the way to go. Moving back to New Mutants’ original setting makes the cast look like incompetents sent back to school, or just junior X-Men taking up space in the real team’s house. They’re caught in-between being teenage trainees or real X-Men, which doesn’t work. In one scene, Cannonball is actually starstruck to even be speaking to the great Cyclops, which is absurd. He’s practically grown up around the X-Men by this point, he shouldn’t be stammering around any of them. 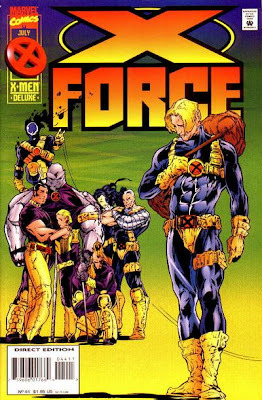 I’m not sure if Nicieza knew what to do with X-Force after a second teen mutant book debuted either, but he at least made the team independent and occasionally emphasized how their approach differs from the X-Men. 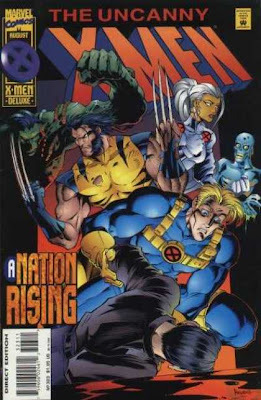 Now, the team’s back as a junior-league X-Men, which makes it an even more redundant part of a bloated line of titles. With Excalibur’s plane going down, Meggan uses her elemental powers to create electricity to feed the generators and restore the engines. The team lands and is caught in the middle of a fight between Mutates and armed humans. During the course of the fight, Britanic’s vision of the future begins to become true, as Peter Wisdom is hit by a human guerrilla fighter’s “biting” bullets. When one of the extremist Mutates also targets Wisdom, he reluctantly uses his ability to create “hot knives” to defend himself. The team is able to able to pull one of the special bullets they were sent to find out of a corpse. The bullet has a human’s face. The Sugar Man watches from a hidden location as Jenny Ransome, a Mutate representative of the struggling new government, takes Britanic aside. She tells him that the bullets were created out of a mutant named Pizer’s body twenty years ago, and his father worked as a consultant on the project. Britanic demands to see proof that his father was involved before he’ll believe it. Ransome and Britanic reunite with the rest of Excalibur at the home of Dr. Monroe, the assumed creator of the Mutate bonding process. While searching his private lab for information, Douglock learns that Monroe actually had a sponsor who originated the process and gave him the ideas. When Douglock’s close to learning the sponsor’s identity, the computer explodes on the Sugar Man’s command. Agents from Black Air watch as Excalibur escapes the exploding lab, content that the secret of the Mutate genegineering process will be theirs. “Hot knives” is apparently a marijuana reference, which Ellis allegedly inserted as a joke. The Statement of Ownership list average sales at 137,800 with the most recent issue selling 131,000 copies. I’m not sure what Warren Ellis was planning on doing with this Genosha storyline when it began five months earlier, but I doubt it involved revealing that the Sugar Man had secretly been behind the creation of the Mutates. Originally, it seemed as if the story would actually involve Black Air, the mutant bullets, and Brian Braddock’s father, but those threads take a backseat to the revelation about Genosha’s “true” origin. This is really what annoyed me the most about the aftermath of the Age of Apocalypse storyline. It’s one thing to bring the AoA characters into the mainstream reality and just do mediocre stories with them; it’s another to awkwardly shoehorn them into the past twenty years of continuity. The original Genosha storyline already introduced Dr. Monroe as the creator of the Mutates, so it’s not as if this was a long-standing mystery that really needed to be cleared up. Inserting Sugar Man into Genosha (with the weak explanation that Genosha was his “earliest experiment in unorthodox industry”) is totally arbitrary. I assume that this was done in order to make Sugar Man seem more important, or maybe to justify spending four months on the AoA by having it retroactively influence the original world, but it’s so awkward it can’t work. Sugar Man turned out to be pretty much a dud in Generation Next anyway, so this forced attempt at relevance is even more annoying. The rest of the issue turns out to be a decent action-oriented story. Ellis does have a handle on the characters, even if Wisdom and Britanic (or “Britannic”, as Ellis begins spelling it here) seem a little melodramatic at times. The structure of the story is a little odd since parts of it have to be told as flashbacks in order to make room for Excalibur’s appearance in X-Men Prime, but it’s not too distracting. 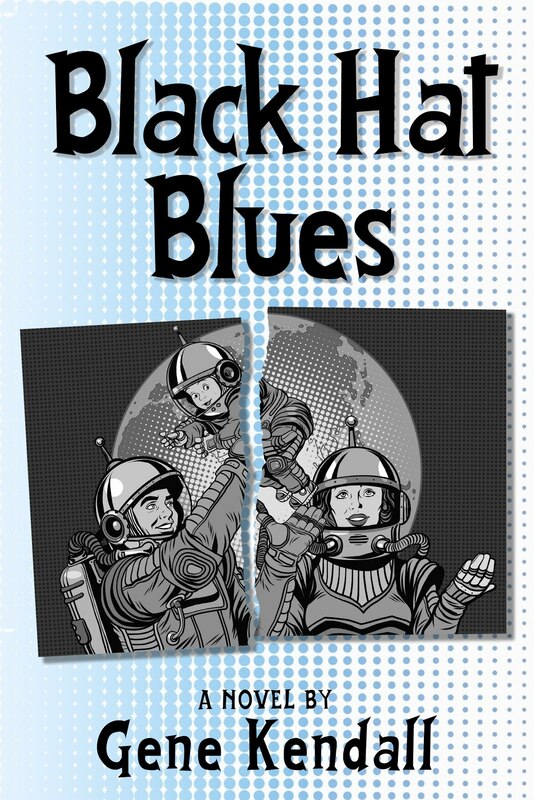 The next issue is the start of a trilogy dealing with Black Air, which I suspect is closer to what Ellis had in mind when he took over the title. Professor Xavier continues to search for Cyclops and Phoenix, but can’t find them due to a disruption in the psionic plane. Bishop sends a message, saying that Phoenix and Skids have landed in Madagascar and that Psylocke is taking them home. In the Australian Outback, Cyclops is guiding the surviving Acolytes to safety. Most of the Acolytes fall in line with Cyclops, realizing that Avalon is destroyed and Exodus is probably dead. After days of searching, Cyclops leads the Acolytes to a ghost town, which once served as home to the X-Men. Phoenix arrives at the mansion and is also unable to locate Cyclops. Xavier asks Amelia Voght to turn his body into mist so that he can become pure psionic energy. She reluctantly agrees, but a powerful force pulls Xavier out of the psionic plane soon after his search begins. Using the communication systems inside the Australian town, Cyclops contacts Xavier and gives him their location. Xavier asks Voght not to leave, but she refuses. Meanwhile, Colossus lands in Antarctica, but Magneto is nowhere to be found. He’s rescued by a woman in an armored suit, who reveals herself to be Callisto. The surviving Acolytes are Voght, Cargill, Scanner, Unuscione, and the Kleinstock brothers. The group was later resurrected with more members, but I don’t think a definite death tally for Holocaust’s attack was ever given. What exactly happened to Magneto after Avalon’s destruction isn’t fully resolved until years later in 1999’s “Magneto War” storyline. Colossus was understandably wearing his Acolyte uniform in the previous two issues, but he emerges from the escape pod wearing his classic X-Men uniform (complete with a giant "X" belt buckle). Xavier reveals that Amelia Voght’s natural form is her mist state, and that she has to concentrate to stay solid. He says that her fear of losing her humanity is what lead Voght to avoid her mutant responsibilities. Callisto tells Colossus that she’s aged “give or take a decade”, which is a reference to the way time moves in the dimension the Morlocks were sent to (this is elaborated on in future issues of Uncanny). The story mentions that they were once lovers, which happened when Colossus had amnesia and Callisto was transformed into a beautiful model by Masque in the later Claremont years. The powerful force interfering with the psionic plane is supposed to be Onslaught. Cyclops says that the Australian base has been used recently, which is supposed to be another Onslaught hint. The ghost town in the Outback is the former home of the Reavers, which was taken over by the X-Men after the “Fall of the Mutants” storyline. While searching for Cyclops and Phoenix early in the issue, Xavier says that he can’t use Cerebro because it was destroyed during the Phalanx’s attack. A few pages later, Phoenix is searching for Cyclops with…Cerebro. She mentions that its “datacore” is down, but that’s obviously not stopping her from using it. I remember mostly enjoying this storyline when I first read it, and it holds up pretty well. This issue’s story is a cheap resolution to last issue’s cliffhanger, which had Cyclops possibly burning up in re-entry (“cheap” as in, totally ignores it), but I was willing to forgive that back then, and I'm willing to live with it today. Cyclops is allowed to be a competent, brave leader who does more than mope around, which is a nice change of pace. 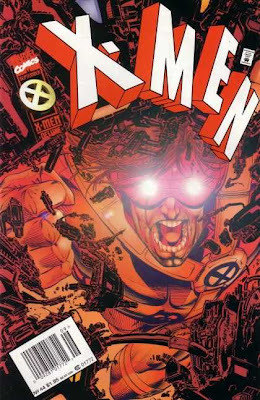 I’m trying to think of instances of Cyclops acting as a truly capable leader in the previous Nicieza issues, and I honestly can’t come up with any. It seems like Nicieza mostly focused on giving him character-driven subplots while rarely showing him out in the field with the X-Men. It’s also nice to see the Acolytes showing hints of a personality and being portrayed as more than just mindless fanatics. I’ve always enjoyed stories that split the cast up in different areas of the globe (probably because some of the earliest UXM issues I read were after the X-Men were separated in the later Claremont/Silvestri issues), and reviving the Australian base is a nice nod to an era of the X-Men’s history that’s often ignored. The idea that Xavier could somehow turn into “pure psionic energy” with Voght’s powers is silly pseudo-science that doesn’t make a lot of sense, but I do like Nicieza’s portrayal of Voght in this issue. It makes sense that many mutants would choose to divorce themselves from any hero/villain conflicts, and he’s able to give Voght a reasonable justification for her lack of commitment to any cause. Andy Kubert returns as artist, which thrilled me as a teen since I was becoming a huge fan of his work and wasn’t willing to give Smith a chance. It’s probably his best-looking issue, with admirable “color art” that still holds up today.